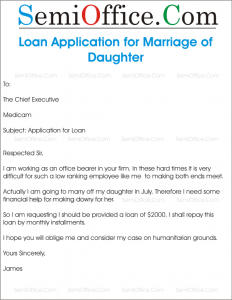 Sample application letter to request the bank for extension of loan payment dates due to financial problems/loss etc. Format of request letter to send to bank for loan extension when you are not able to meet the deadline. Sir, I am a current user of your bank and I am running 4 different accounts with good flow. With the account details attached with this letter, it can be proved that I am a non-liable applicant for loan extension. As per the loan plan that I was provided with, there was a calamity because of which I would be unable to pay back the due amount in time. Therefore, grant me a 2 months extension so I can pay back the principal amount along with the interest of these 2 months as well. I would like to hear from you soon. Thank you for your consideration. 11 months back I took an interest free loan from Habib Bank Limited of 1 million. The time period to return the amount was one year. I have paid 80% of the amount back to the bank and the rest 20% of the amount is due 25th September 2018. You can see my payment history, that I will have paid all the installments in time and did not miss the deadline even once. However this time due to some financial drawbacks, unfortunately I will not be able to meet the deadline of bank. I request you to please extend the load deadline and give me a month more so I can arrange the remaining amount. I took a loan from the company last month due to some financial crisis which I was facing. The amount of the loan was PKR 100 000 and the deadline to pay the amount back is on 1st January 2019. However, I was thinking that it would be difficult for me to collect the amount and more convenient if the money would be deducted directly from my salary every month. This way I will also not have to worry about saving up the amount. I sent this letter to request for loan repayment extension. I took a loan of PKR 500 000 from the bank 6 months ago and the due date of pay the amount back is 1st January 2019. Till now I have paid back 80% of the amount of the loan, however at the moment I am going through some financial drawbacks and will not able to arrange the rest 20% by the deadline. Therefore, I request to please extend my deadline to the next month so that I can easily arrange the money. I have attached the official documents which contacts the term of the loan and proof of the paid amount. You may contact me in case of any queries or clarification. Thank you. With all due respect, I am writing this application to request a loan extension. I am aware that I have to pay the loan off in six months but my business has not been doing very well and my financial instability has hit its peak. I cannot afford the amount at the moment and need more time to collect the money. I request you to please provide me an extension and let me pay the loan off in a year rather than six months since it will be easier for me. I hope you will acknowledge my situation and provide me with an extension. Sample request letter for vehicle loan from company. Request letter for car loan. Request letter for auto loan. I am writing to you because I am one of your new employees and I have been working with you for two months and I still don’t have a company van to work from. I have been using my personal one as I was told to do this till to you give me the company vehicle on loan. As I do enjoy the work that I do with your company and I have made new friends. I would like to request for a company vehicle loan so that my wife can stop telling me off for using the family car for work. She understands that this isn’t for long but I was told at the start it would take up to two weeks and still after two months I am waiting. I hope that you can sort this out quickly and grant me the vehicle loan. I look forward to hearing back from you. Hi. I have been calling on this branch telephone number but it is always engaged so I was left with no other option than to write a letter. Last month I took a loan from the bank to purchase a car from your showroom. And it has almost four weeks that I came and booked a car at your branch but since then I have received no such confirmation of allotment of the vehicle. I know these procedures take time but it has been a month now and I will at least expect for paper work to be in process by now. I will wait for the reply of this letter and if there are any issues you can contact me any time of the day. I hope to hear back from you soon. 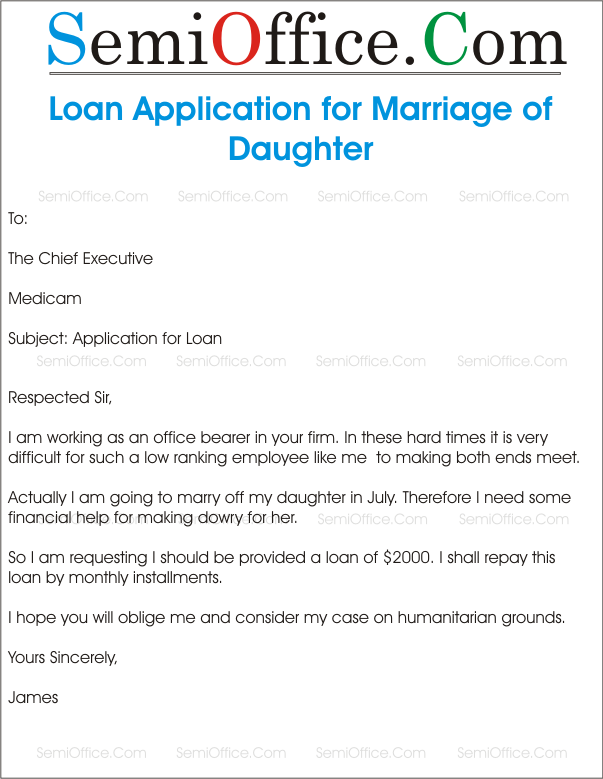 Sample application letter for loan to renovate the home from office, bank, factory, small loan schemes etc. Sir, with due respect I have to state that I have recently returned to London after working in Qatar for over a decade. I am currently staying with staff at company but I would like to shift to the house I inherited after my parents passed away. However, it is not in a good condition. For that purpose, I would like to apply for load to renovate my house so I could live in it again as soon as possible. Thank you for your consideration. Hope that you will be fine. I am account holder in your bank for last 5 years. I have come to know about the loan scheme inaugurated by your bank which is based on small loans against low mark up for building homes. According to the bank policy, the requirement for loan is that one must have a salary account in your bank and the account must be activated three years before the advertisement. I have decided to renovate my house this summer so I think this new scheme would be beneficent for me. As per the requirements I am an account holder in your bank for 5 years and my account is also salary account which makes me capable of applying for loan. Moreover I am also submitting papers of two guarantors in this respect. It is requested that kindly accept my application for loan and allow me to start the procedure in this respect. I shall be grateful to you for this favor. Sample application letter to bank to request for cancellation of loan for which you applied earlier. During the loan approval process the applicant may cancel the loan request due to any reason personal or business. My name is Smith and last week I submitted an application for a loan. I am writing this letter to take it to your kind notice that I do not need that loan anymore. I will be very thankful to you if you cancel my application. It is to inform you that I applied for a loan for my own business as I had to buy stocks of a reputed company in Pakistan Stock Exchange. Since I have arranged the amount, I request your bank to please cancel the loan proceedings. Three months back I applied for the home loan from your bank and your operations manager told me that it will take six months for the approval of loan. Now my financial situation is not in a good shape to bear the burden of home loan. So it is my humble request to cancel my loan process as soon as you receive my letter. It is to inform you that the loan for which you applied have been cancelled immediately. The government has changed her policy in connection with sanctioning of loans. It is regretted And you are advised to apply till the further policy. Otherwise, the bank is at your beck and call. With all due respect it is stated that your request for a loan from the bank has been cancelled because of the limitations in your bank account. Your bank account is not old enough for us to grant you a loan. We are sorry for any inconvenience and wish you best of luck. Sample application letter for reimbursement of student loan, educational loan, study loan to college or university. I was a student in this institute from 2012-2014 and studied the year 2014 on loan due to financial crisis. I have received a letter of warning because I have not paid the last installment of the loan. My financial condition is not improved and I have already got admission in an institute for further studies. I would be unable to pay you back the loan I took during that period. I am requesting you to please waived off the remaining loan so that I can continue my higher studies without any financial pressure. I am very grateful for what you have done for me when I needed the most. Right now, I am facing these challenges again and fully faithful to get help from you. My loan tracking ID number was 12345 and I have attached all the other documents along with this letter. This is to inform you that your liability to pay your outstanding loan had been waived. You took a loan of 200 $ from our institute to facilitate your studies. You were liable to pay it after six months, but due to your outstanding performance in your annual examination our committee had decided to waive your loan. We hope you would carry on your efforts and become a successful person. Sample application letter to bank manager for getting business loan to start your business, extend your business, new business unit, new shop, purchase of shop, loan for purchase of property, raw material etc. Application Funds from any financial institution to support my poultry business. Have nice day, Hope you are well and doing good. Sir, as we want to initiate the business of Textile and I need some funds to establish this business. We have 15 years’ experience in textile and have well understanding for this business. We have just shortage of finance that’s why unable to run this business. So, it is requested to you to grant me some loan from your bank. So that we can start the business with laon. We will pay this loan as per your required policies. I am indeed pleased to mention here that your bank and I have a strong relation for past twenty years, being an account holder in this bank. When I started my first job, I paid the visit of your branch and got the account opened. Since then, I am making all transactions and other works from this branch of Standard Bank. Now, it is to inform you that I have left the job and intend to start my own business in shape of a garments shop. In order to run this new business of garments, I need loan of 1 million rupees at least. In this regard, if possible then direct your agent to visit the place/ shop which I am going to hire and brief me the terms and conditions of the loan and also apprise me of all mandatory documents to provide. This is Aysha Yasir, I have many account in your branch and now want to seek one help from you people and want to get information regarding loans. I am interested in making my own office building for which I need to take loan from your organization. I have made so many customers for your bank and now hope that you will grant me the desired loan. As discussed, over the phone with you followed by a meeting with one of your team member, I have decided to apply for a loan from your company to support my existing poultry business. Kindly note that I’ve been in the same industry since a decade and leading a well reputed company in the market. So I would expect a considerable flexibility in the repayment of the loaned amount. Initially I would like to apply for AED 150,000/- with the interest rate of 4.50/annum. I have attached all the relevant documents with my application and would be expecting to hear from you at the soonest because this amount is to be used to purchase livestock where the current prices are quite attractive so the delay may not allow me to get the benefit from the lowest rates. Sample application letter to request home loan from the bank for construction, purchase of land or maintenance of home etc. Recently I heard that your bank is giving home loan to those who cannot afford to buy home on their own. I am a teacher in local college and with my salary I can only meet up necessary needs. I bought some land a few years back in London, but could not build house on it due to lack of funds. I want to apply for home loan of at least $20,0000/-. I have very secured job and I am sure that I would return the loan as per your conditions. Besides, I can fulfill all the terms and conditions described in bank documents. Kindly grant me this loan so I could build my dream home. I will always appreciate you and your organization for this service. I look forward to your reply and approval of my loan application. With utmost respect, I want to request a loan from your bank of $50,000. This loan is specifically for the purchase of a family home. For the loan security I would like to offer my car to your bank. I shall be highly obliged if I am able to achieve the loan as I fulfill all the requirements of a mortgagor. Sir, I recently heard about the home loan policy that your bank has initiated. I am quite happy to be a client of a bank that makes the life of people easy by such offers. As you might be aware of the fact that I have been serving in the US Military and I was posted at a different country for a specific purpose. However, I have just returned to my hometown after being retired from the force and hope to settle down here. For that purpose, I would like to request you to grant me a loan for a specific amount of money so that I can pursue my dream of having a house in the city that I love. I agree to pay all the installments before the given date with interest. I shall be very thankful to you. I hope this letter finds you in the best of your health. I am planning to buy a home but would not be able to pay the whole money at once. I am doing a full time job in a reputed company as permanent employee and all of my payment affairs have been done through your bank. I am requesting you to please grant me loan so that I can easily buy the home. My family and I would be very grateful to you for helping us in this. Your bank has always been proven the best for us and hopes it will continue its tradition. I wish to apply for monetary loan from the bank to accomplish some important tasks. As you have best knowledge among all of us, I have been working as junior accountant for the bank of Glasgow since 0000. I have always tried my best to complete all assigned works from senior management and perform duties diligently and honestly. As soon as I would be able to return this loan, I would do it in first priority. Sample letter to client for rejection of loan request application letter from bank. Letter to inform client that loan request has been rejected and objections. It gives us a pain to apprise you that your request for the loan of 5 Million dollars has been rejected by the board of directors of our bank. The main reason for this rejection was found to be the short amount of salary you are earning, being a job holder in a government service. As you have no source of income other than this job and the bank has strong reservations over your way of returning this huge amount of loan. This letter is to notify you about the rejection of your loan request that you submitted at Celibry Bank Pvt. Ltd. Unfortunately, You were failed to fulfill the criteria that is must for the loan approval at our bank or the credentials and assets that you provided failed to be verified by our verification team. Thanks for showing interest in our loan scheme.